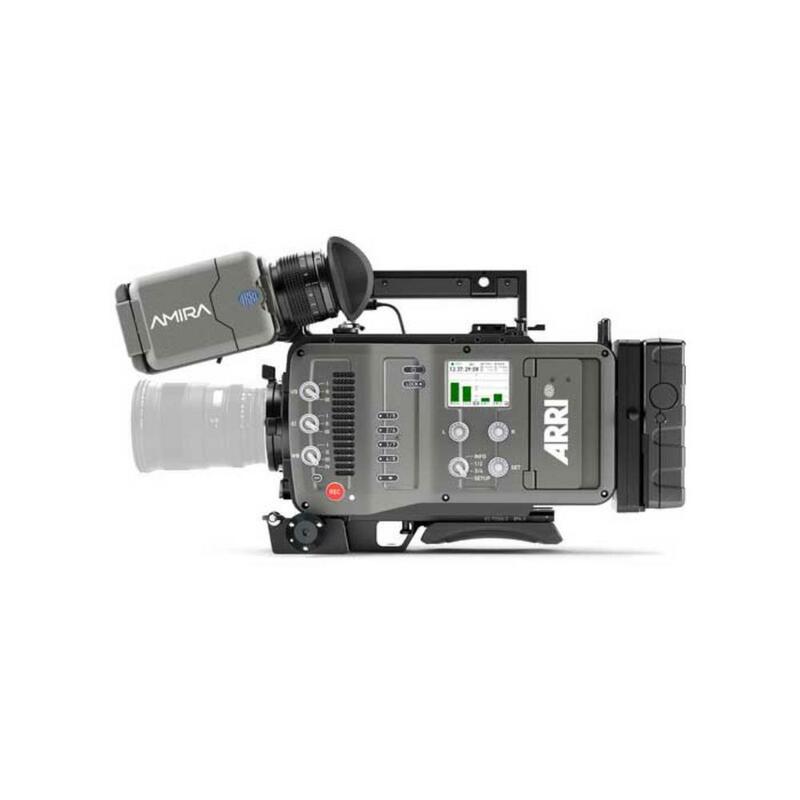 The ARRI AMIRA Premium Set Camera is a versatile documentary-style camera optimized for single-operator use. 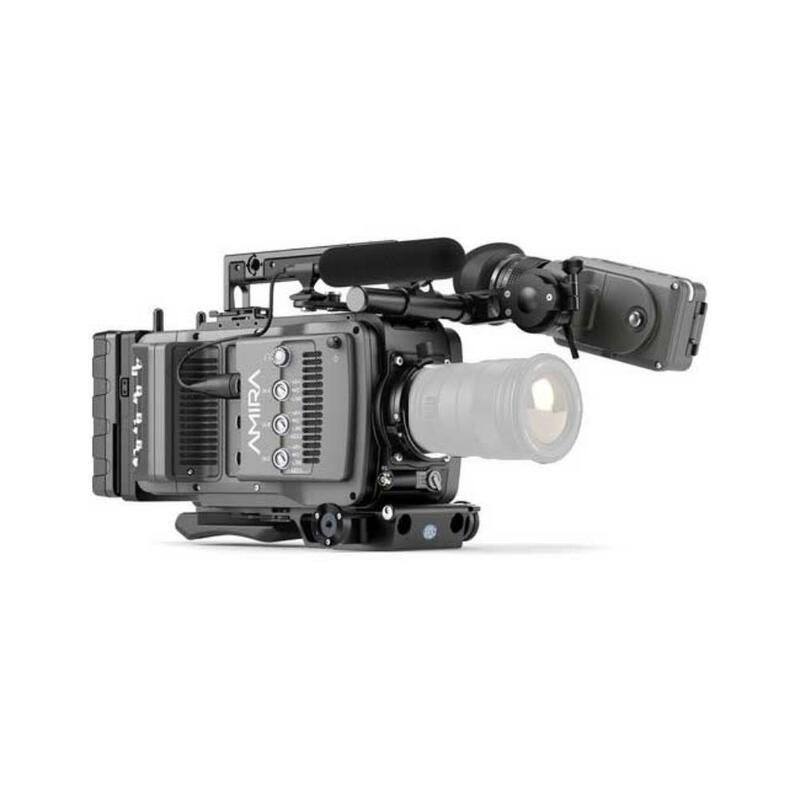 It features in-camera grading with preloaded 3D LUTs, 200 FPS slow motion shooting in ProRes formats up to 4:4:4 in HD and 2K, and affordable recording to CFast memory (please see Notes tab for more info on compatible cards). Vents are on either side of the camera for temperature control and allow you to see straight through to body of this all-metal camera. It is very rugged and suited for a variety of environments. You can change speeds between high frame rates and low frame rates with a simple switch of a button without having to reboot into high-speed mode. This camera ultimately offers the high quality ALEXA sensor inside a lighter ENG frame making this a great choice for documentarians, journalists, or small-team narrative shooters. • A lens is not included with this camera. Please choose between PL Mount and EF Mount at checkout. • CFast cards and Anton Bauer batteries are not included. • For a full list of compatible CFast cards, please see this chart. • The viewfinder operates under a proximity sensor. Overriding the proximity sensor or forcing it to stay on may result in damage to the viewfinder. Do not remove the screwed-in antennae for WiFi and Bluetooth. For a complete walkthrough of this camera, click here. • The AMIRA can only do 16:9.